Joshua Tree is just a few hours’ drive from Los Angeles, and there are plenty of reasons to make the trip. 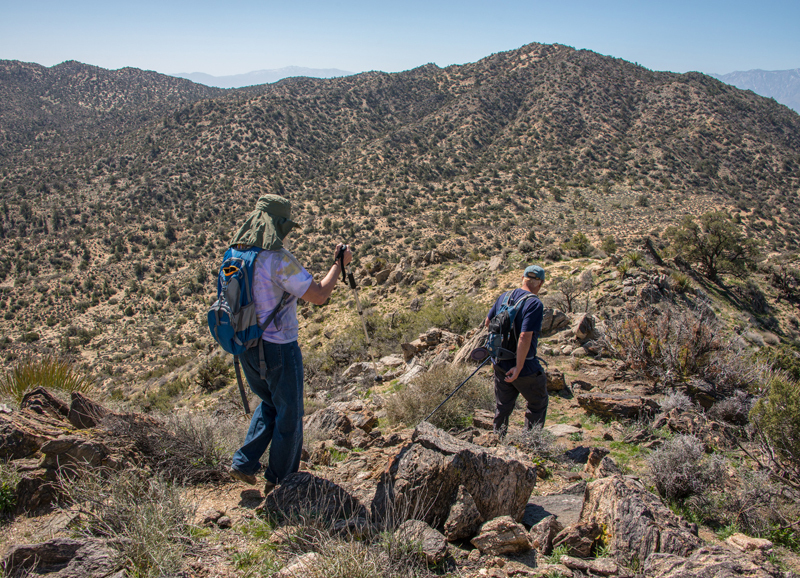 Perhaps the biggest attraction is the magical desert landscape itself, with its unusual cacti, imposing boulders, and rocky mountains—and what better way to experience it than by hiking through the middle of it? 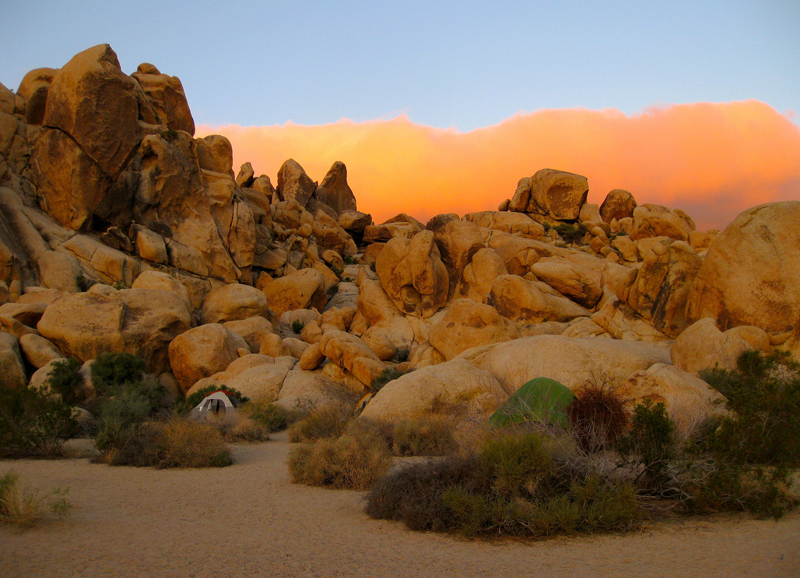 From the quick, easy, and kid-friendly to the epic and strenuous, here are 16 incredible hikes in Joshua Tree. It’s a short hike up to Ryan Mountain, but the 1000-foot elevation hits hard and fast—so be prepared for a brief uphill struggle. 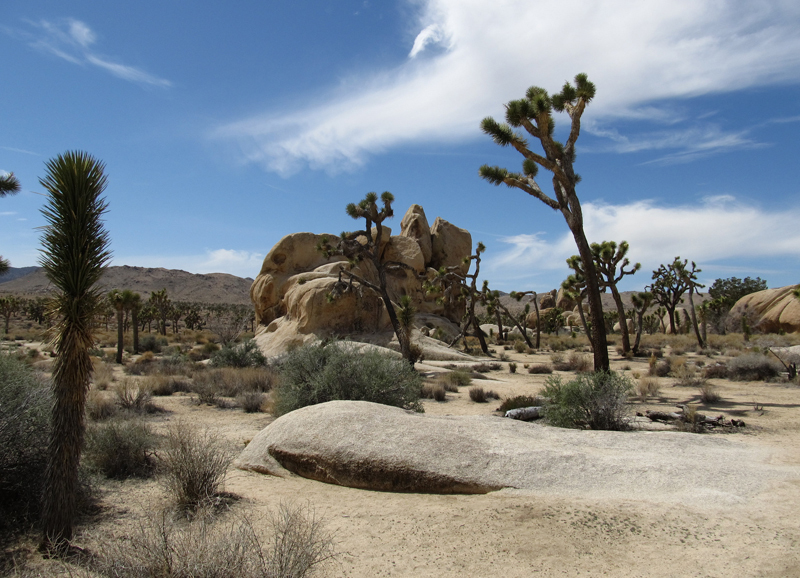 The payoff is well worth it though, with incredibly photogenic 360-degree views of Joshua Tree National Park. The Hidden Valley Trail is a short, flat, one-mile loop that’s perfect for families with kids or those looking for something a little more relaxed. The valley itself features giant boulders and rock formations that are best experienced at dusk or dawn for full Martian effect. As the name suggests, this short trail leads to a spectacular natural rock arch. If you’re fit and agile, it’s a relatively easy climb to the top of the arch, from which you’ll be treated to some incredible desert views. For obvious reasons, this trail is very popular, so it can get a little crowded. 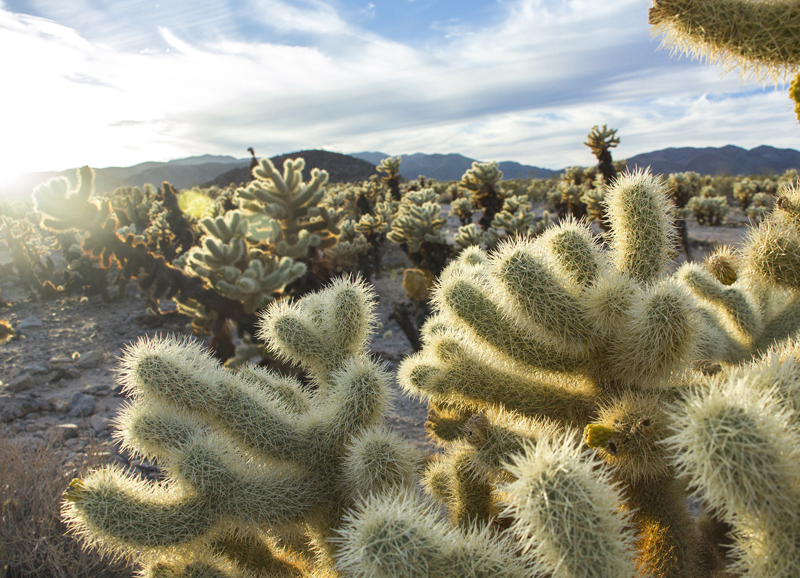 If you’re in Joshua Tree for a short time and are curious about the region’s amazing fauna, then the Cholla Cactus Garden is a must. It will take you about 30 minutes to wander through this thicket of strange and wonderful spiny plants. Just avoid touching them, unless you want to come out looking like a cactus yourself. If you’re looking for a workout and a little time to yourself, Warren Peak is a quiet but relatively difficult 5.5-mile trail with some truly incredible views to make it worth your while. Once you reach the peak, you’ll be in the middle of a spectacular panorama that includes the snow-capped peaks of Mt. San Jacinto and Mt. 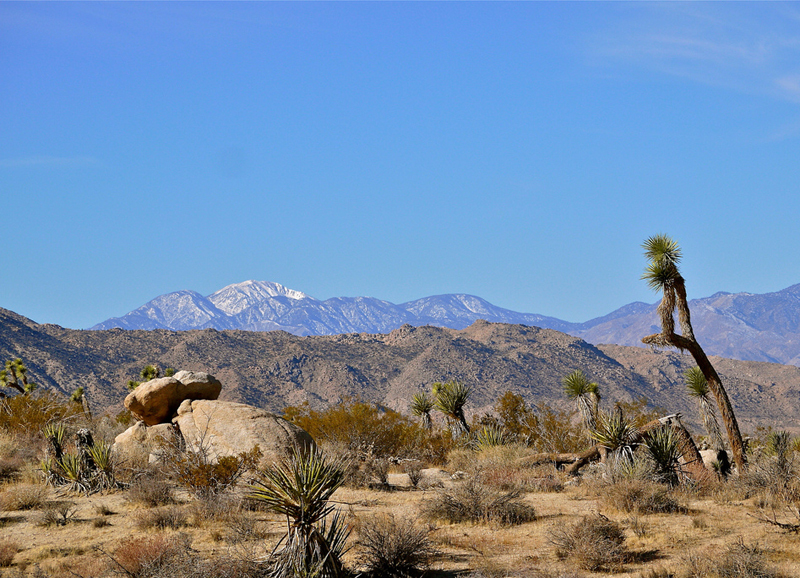 San Gorgonio as well as views of Joshua Tree National Park. Just keep reminding yourself it’s all downhill on the way back! 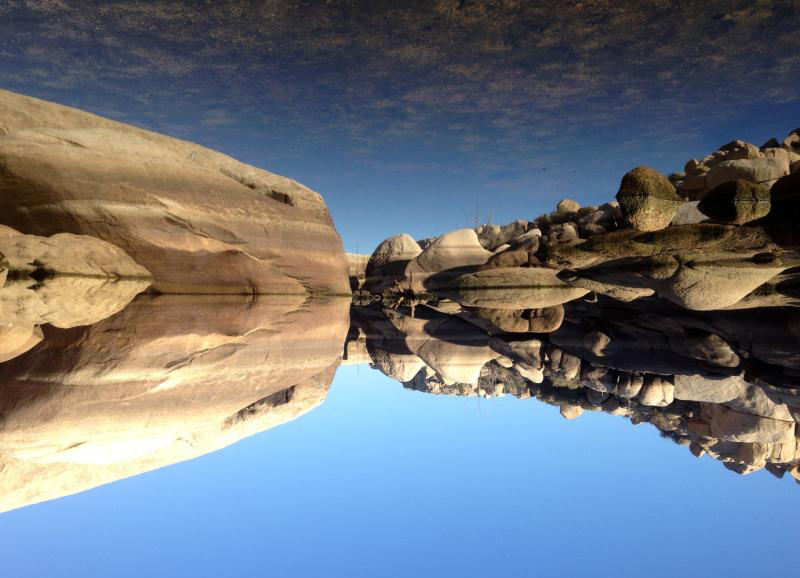 If you come to Barker Dam after the rains, you’ll find a desert oasis. 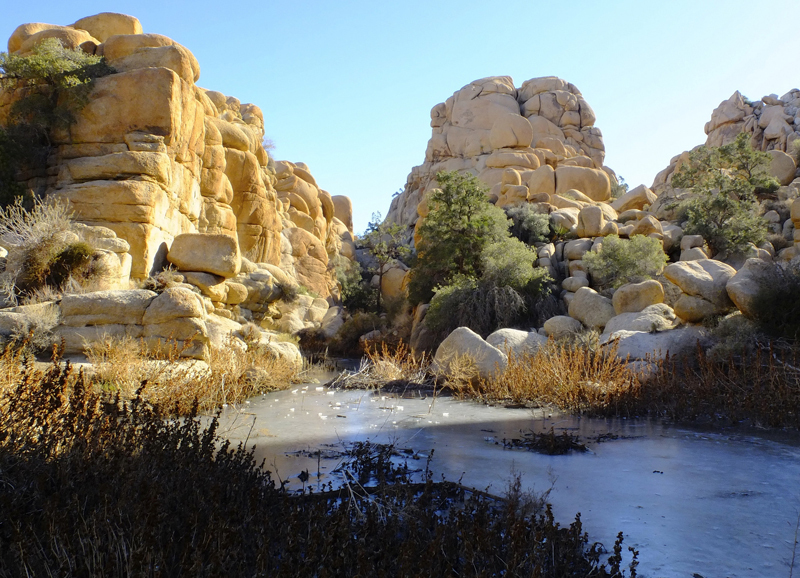 The still waters of the dam create an enchanting scene when they reflect the strange rocky outcrops in the midst of the dry Joshua Tree landscape. 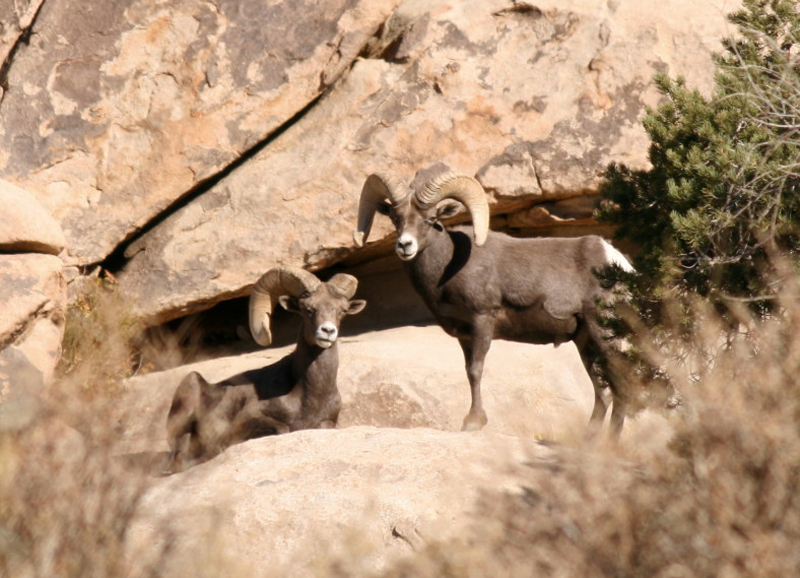 Even if the lake is dry, the rock formations are still spectacular, and you may even catch a glimpse of a bighorn sheep or two. 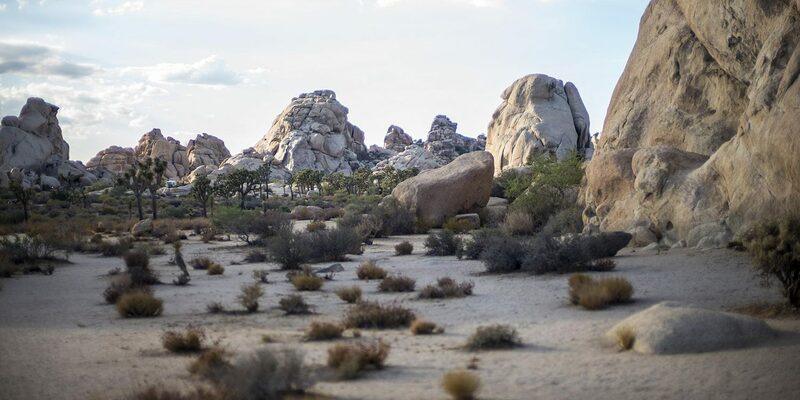 This little-known trail has a reputation among serious hikers as being one of the best trails in Joshua Tree. The trail winds through flat, open sandy desert and rocky valleys, and even features a creek (depending on the weather). You’re also likely to see a variety of desert wildlife like birds and even frogs if the creek is flowing. Looking for some spectacular scenery without the crowds? This incredible loop meanders through otherworldly rock formations, desert washes, slot canyons, and forests of Joshua trees—pretty much everything you’d want to see. 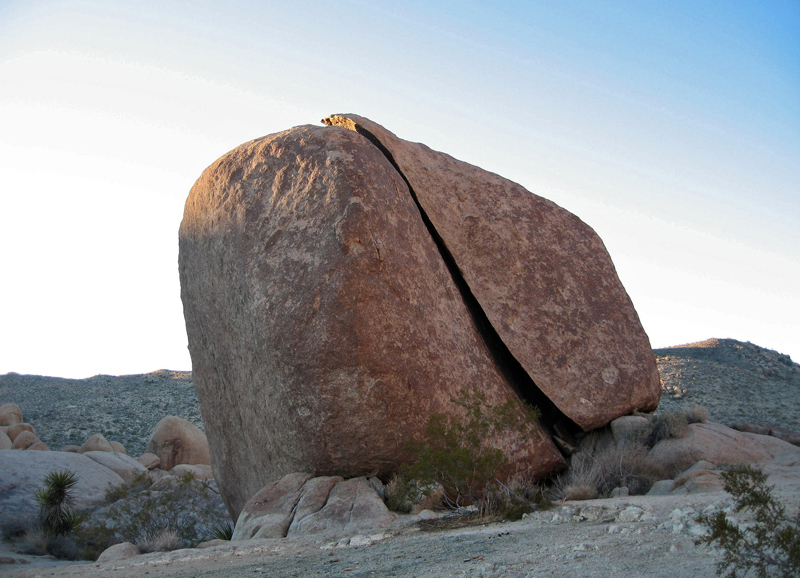 The Maze Loop is also home to some of the most bizarre scenery in Joshua Tree, including natural rock walls that look man-made and the “Window Rock” formation. The Pine City Trail is a relatively flat hike that’s not too strenuous, one that allows you to experience a variety of local fauna and some incredible views. The trail also features many bonus side-trails that let you explore nearby canyons. 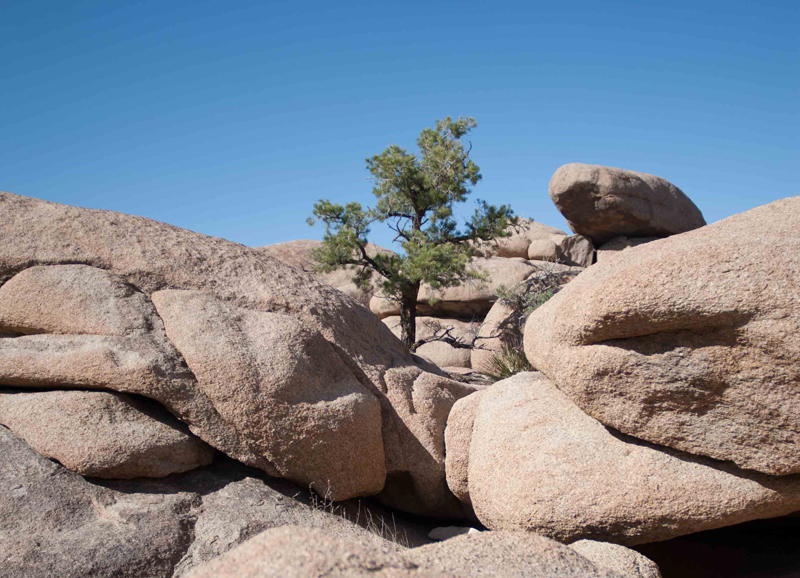 Pine City is a small pinyon pine microclimate hidden between a cluster of large boulders, and is definitely worth the four-mile trek. 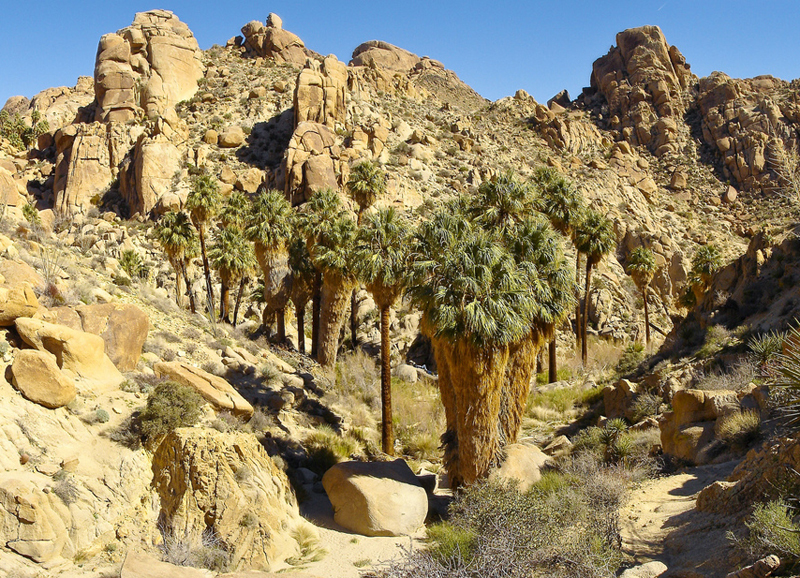 This popular trail features Californian wildflowers, giant Joshua trees, and a spooky old gold mine. Incredibly, the winding trail was once used for wagons coming to and from the mine. 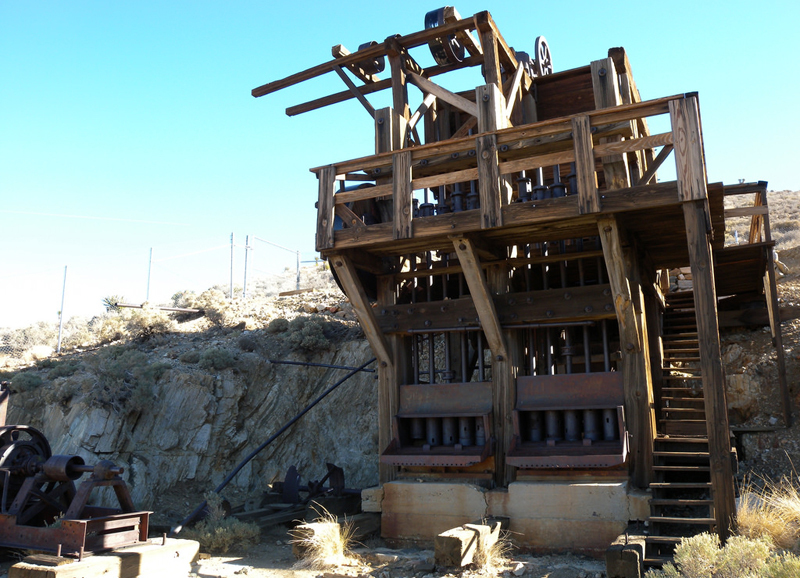 Once you hit the mine, make sure you take the extra walk up Lost Horse Mountain. It’s off the main trail, but the views are worth the extra effort. Hike through rocky terrain with some amazing canyon views to the lost oasis, where you scramble down into a shady canyon with palm trees, wildlife, and water (if it has been raining). If you time your hike so that you hit dusk on the way back, you’re guaranteed some gorgeous views. 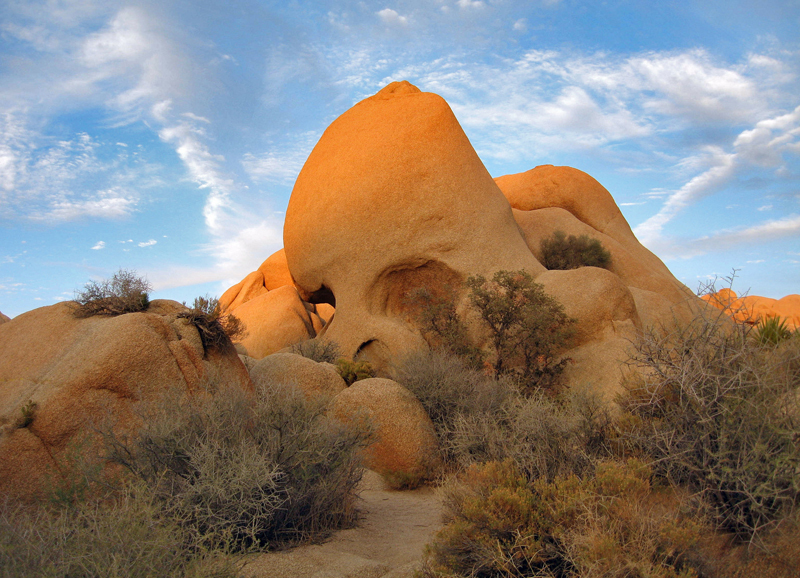 One of the well-known features of Joshua Tree is its bizarre rock formations, and Skull Rock is a great place to get a look at them without too much work. The trail’s namesake is a giant skull-shaped rock not too far from the beginning of the path. This is the perfect sunset hike. 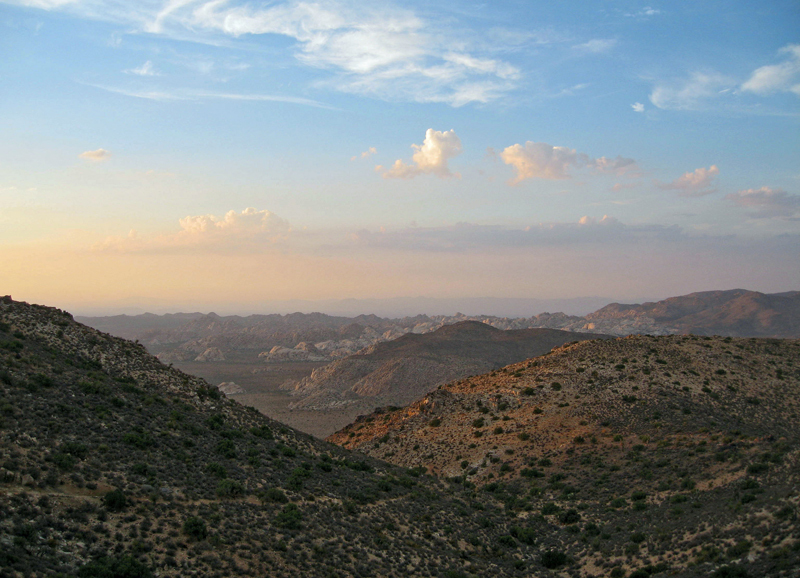 It’s a pretty quick and casual trek up to the peak, where you’ll see some incredible views of Joshua Tree. 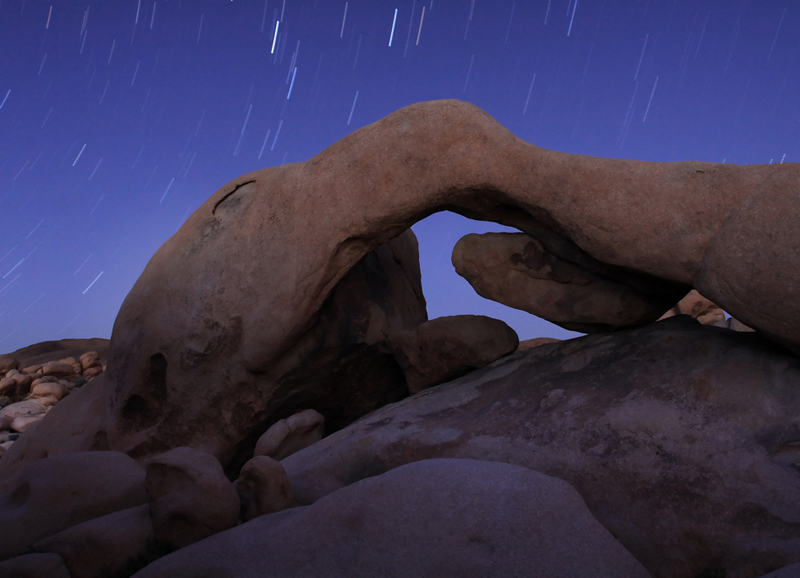 At dusk on a clear day, the eerie, glowing rocks will take your breath away. Another trail for rock-lovers, Split Rock showcases some amazing geological features, like bizarre lava formations, slot canyons, and “Face Rock,” a boulder that resembles the profile of a human face. 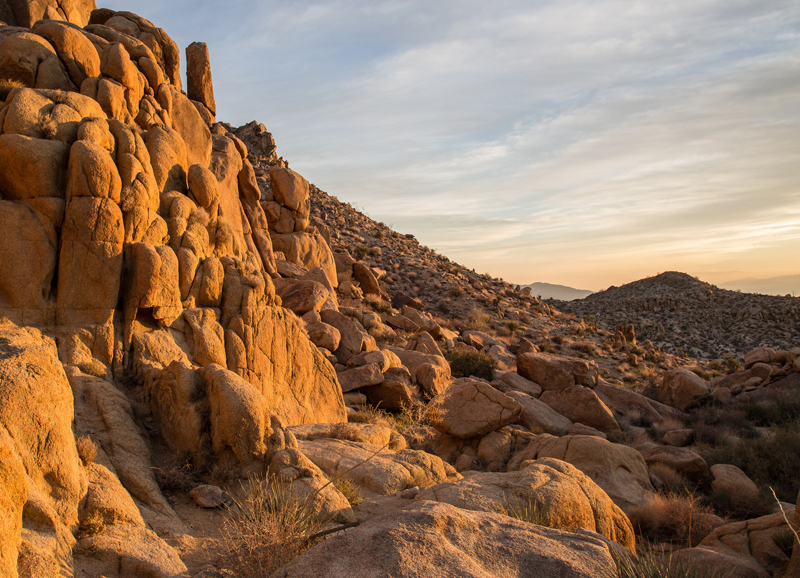 An easy hike where you can see some fascinating Joshua Tree gold mining history, along with giant boulders, birds and wildlife, a microclimate with scrubby oak trees, and some rocky mountain views. This short, easy hike is kid-friendly and features plenty of boulder climbing, wildflowers, rocky canyons, and some unique views.